What to do with those annoying aol cd’s that come in the mail? Use them to decorate your classroom! You can tape them on door windows (back to back) or on the walls. I also love taping them back to back, punch a hole through the middle and slip a long piece of yarn through. Then I tie the ends together attaching a paperclip and slip the paperclip under the ceiling. The kids love looking at them. When you see plastic canvas on sale in the crafts department, buy lots of it in bright colors. You can easily cut the canvas along the lines, or in patterns, and use it as: borders, picture frames, work frames, accent shapes, bookmarks, placemats, weaving, and lots more. You can even use it for its original purpose(!) – needlepoint. there are lots of cute fabrics with rainbow prints that you could use for bulletin board backgrounds. You wouldn’t have to change it during the year because fabric doesn’t fade like paper. You could use crepe paper (streamers) to make a fun, flowing rainbow on your ceiling or walls. 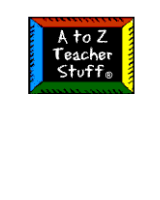 Using rainbow clip art on your newsletters throughout the year would be cute. Add a rainbow screen saver to your computer. Print out actual rainbow photos off the Internet to post around your room. Different locations–great for geography/Social Studies. I did a google search for rainbow photos & there are tons of sites with amazing photos. Hang prisms from your windows/lights to ceate rainbows around your room. Post words to rainbow poems/songs/fingerplays on your walls. Use Skittles in a jar as a variation to marbles in a jar for discipline/behavior management. For a yearlong theme, maybe use the pot-‘o-gold idea – that something good is found at the end of the rainbow. Each month it could be a different word placed at the end of the rainbow thing. You could use character words (responsibility, caring, etc. ), study words (practice makes perfect, etc. ), creativity words (dream, imagine, wish, etc. ), vocabulary. Use the concept of a rainbow as a bridge from here to there, that if you dream big, plan, word hard, you can reach the end of the rainbow… and your goal.